Few children’s picturebooks are quite like this. A Child of Books (Walker Books, £12.99) is a tribute to the power of stories, the result of a lengthy collaboration between author / illustrator Oliver Jeffers and artist / typographer Sam Winston. 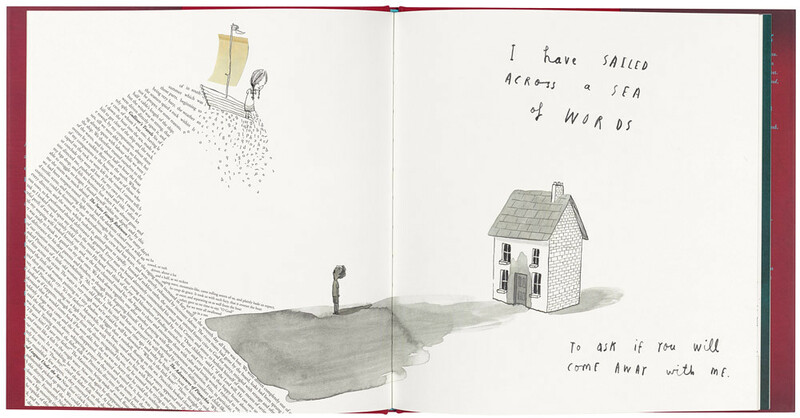 Each spread is a mix of Winston’s typographic landscapes and figures and Jeffers’ hand-drawn text and illustration. Although entirely different in style, the individual works of the two artists knit together elegantly, with drawn people who interact physically with the type, climbing up a mountain of words or resting on clouds of lullabies. Adult readers may enjoy spotting the 42 works of children’s literature referenced, while children are likely to be captivated by the framing fable of a girl who sails on a raft across a ‘sea of words’ (above). This ocean is made from the typeset text of classic stories, including Robinson Crusoe, The Voyages of Doctor Dolittle, The Count of Monte Cristo and Gulliver’s Travels, while individual letters swirl on top to represent spray from the waves. Winston’s typographical creations transform words into mountains, a monster and clouds. Sometimes individual letters act as shading, or stars in the night sky. The sentences borrowed from novels and tales always complement the images they portray. When the children walk towards the world of stories, the path is made of text from Lewis Carroll’s Alice in Wonderland, recalling Alice’s fall into another fictional world. A rope from a tower is a sentence from Rapunzel; a monster is made of densely overlapped words from Frankenstein. In contrast to Winston’s constructions, Jeffers’ illustrations are simple. 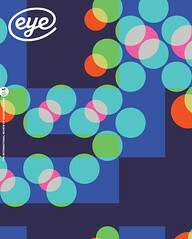 The characters are drawn as outlines and colour is used sparingly – though its effect is startling. The trees are collaged from some ancient books photographed page-end-on, possibly a visual pun on the word ‘leaves’. A Child of Books acknowledges the thrill of scary stories, the excitement of adventure narratives and the enchantment of fairy tales. It is both an invitation to succumb to the heady pleasures of reading, and a work of great beauty and imagination. 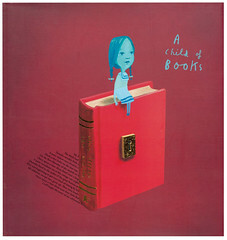 Cover and spread for Oliver Jeffers and Sam Winston’s A Child of Books, Walker Books, £12.99.